Winton Carnival 2018 "Save our Seas"
All the children have enjoyed creating art with the theme "patterns" during Arts week. What a wonderful display of artwork. Well done to everyone and thank you to all the staff and parents for their hard work and support. 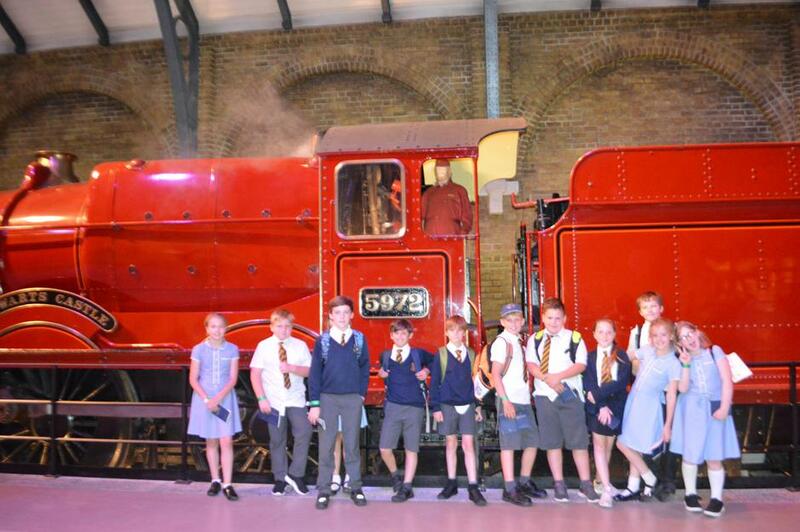 ARTS WEEK 2018 - THEME "PATTERNS"
On Thursday 14th June a group of children from Years 5 & 6 were lucky enough to visit the Harry Potter Studios. Thanks also to Mr Ansell, Mr Heyward and Mr Green for their hard work and coaching. The children at St Luke's were invited by Conor Burns, MP, to design his official Christmas card. Conor joined us at our Junior Carol Service to present the winner with a prize. Well done Charlotte from Year 4! The cast of "Peter Pun 2017"
Our very own talented Mrs Cooper, wrote and directed "Peter Pun" . All the children - and staff - thoroughly enjoyed this festive treat - oh yes they did !! !